Born and raised in Northern Germany, Frauke graduated from the university of berlin. She speaks and/or read six languages (Manx is one of them) and works as a freelance translator for non-fiction. All her life, Frauke has been creating art, experimenting with style and technique - silk painting, stained glass, tile mosaic, traditional handicrafts, jewellery making and sculpting, and more. She has also lived in France and California and has always found inspiration from the art, colours and traditions around her. 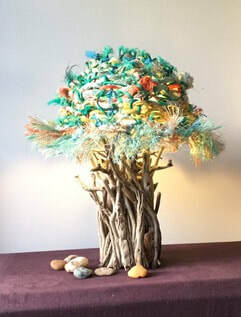 Today, the central theme of her work is the steady and mindless destruction of nature by human civilisation. 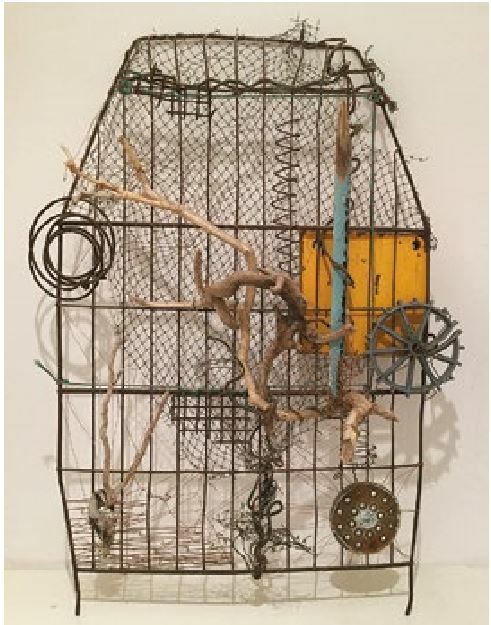 Yet she also endeavors to find the inherent poetry of discarded and disregarded things, giving old things a new lease of life and, preferably, a purpose. 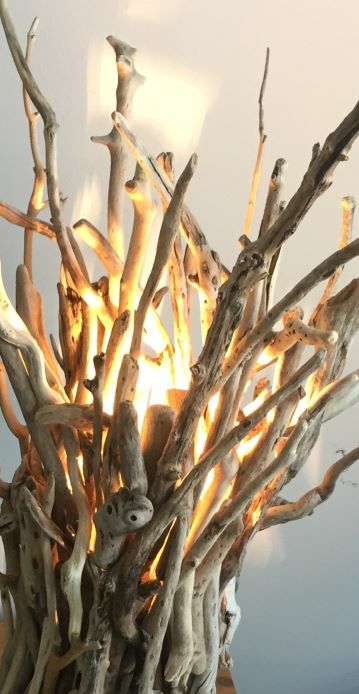 She creates lamps from driftwood, bones and seaweed, wall hangings from ghost netting, sculptures from scrap metal, handbags from plastic shopping bags and jewellery from beach glass, china chips and pebbles. 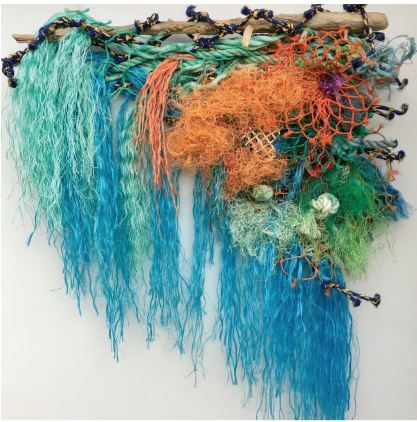 Most of her current work has been assembled from material collected on the Isle of Man.